We are proud to offer full board for $425/month (October 1, 2017: $450/month) including feed and turnout with individual turnout and blanketing available. Due to the level of service we prefer to provide, rough board is not available at Ridge Valley Stables. We will provide your horse with a diet of high quality Timothy Mix Hay and Nutrina Triumph Grain. Custom feed blends and supplement programs are available to meet your horse's dietary needs. All boarded horses can conveniently participate in a scheduled rotational worming program and spring shots, Coggins test, and floating administered by Dr. Koss onsite. This saves a lot of time and expense of arranging for an individual visit ... for both you and the veterinarian. Quarantine facilities are available, typically for isolating freshly arrived horses from the rest of the population. Our barn features 17 indoor stalls having a minimum size of 10'x10' with some being larger, up to 12'x10'. It offers a spacious 10' center aisle which allows two horses to comfortably pass each other as well as three sets of cross ties. 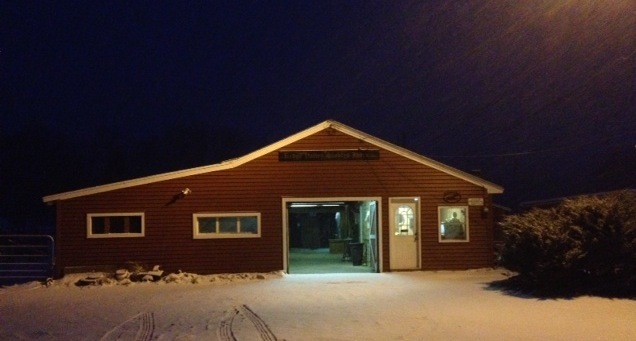 The barn is illuminated, has electrical service and offers hot and cold running water. We have a small but comfortable riders' lounge which is heated and air conditioned for your pre and post ride comfort. The lounge provides our riders with a refrigerator, toaster oven and microwave oven as well as a bathroom with hot and cold running water. We are proud to offer our riders a 60' John Lyons outdoor round pen with 6' panels and a sand footing. We have two schooling rings. One is 60'x120' with a natural footing and is illuminated for night time use. The second ring is 100'x200' with a natural grass footing. Our boarders all receive turnout service, with individual turnout available. All of our pastures have three sided shelters and have 24 hour access to water and salt blocks. For your horse's comfort, we provide night turnout during the summer months. Read the Oats News review for an independent perspective. We have two in-house farriers, an in-house equine dentist and are pleased to be served by one of the area's finest veterinarians, Dr. Kris Koss. 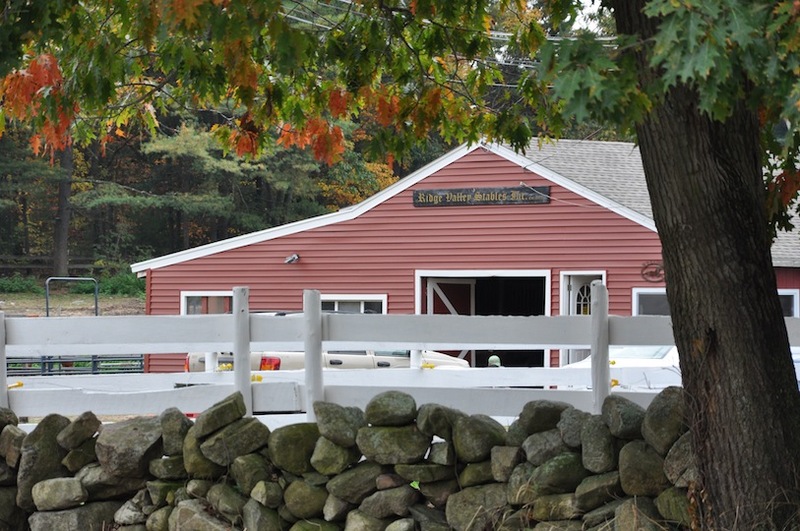 We also offer trailering service for access to the nearby Cummings School of Veterinary Medicine at Tufts University. Ridge Valley specializes in training horses for "using," rather than for elite competitions -- we use nonviolent, modern, positive equine psychology to make sure your horse will stand tied quietly, stand still for mounting, stop biting or kicking, enter the trailer safely, face you in the stall, come when called, and more. We train horses for safe handling, shoeing, clipping, and for camping and backcountry riding. Our experienced trainers help horses from the young and green to mature problem horses. We specialize in helping owners eliminate trailer loading problems.